Milo is a pianist and composer living in Yachats, OR. 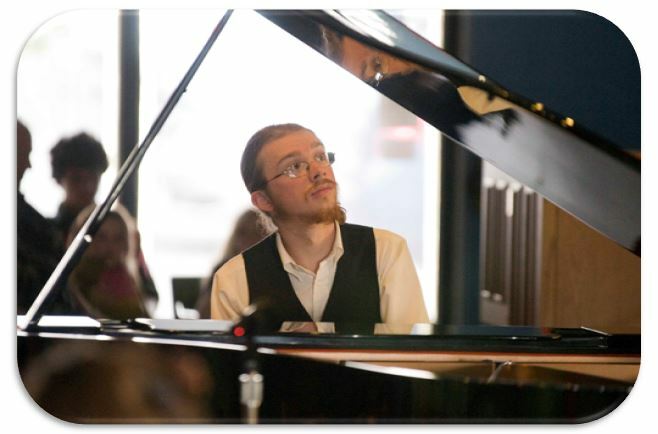 He started piano lessons at age 4, and eventually spent a year and a half at the University of Oregon School of Music. He dropped out of college in order to complete and produce his original musical, "She Loves Me Not", at the Newport Performing Arts Center (and, by popular demand, at other venues). Milo occasionally dabbles in acting and videography, but his primary passion is music. He does not have any vocal training, but can sing bass-baritone (Eb2-Eb4). April 2015 (upcoming) - Taming of the Shrew (Red Octopus Theatre Co.) - Actor: "Pietro (Curtis)"
February-March 2014 - I Love You Because (Porthole Players Ltd.) - Keyboard / Asst. Music Dir. August 2013 - Much Ado About Nothing (OCCA Shakespeare Camp) - Actor: "Benedick"
August 2012 - As You Like It (OCCA Shakespeare Camp) - Actor: "Touchstone"